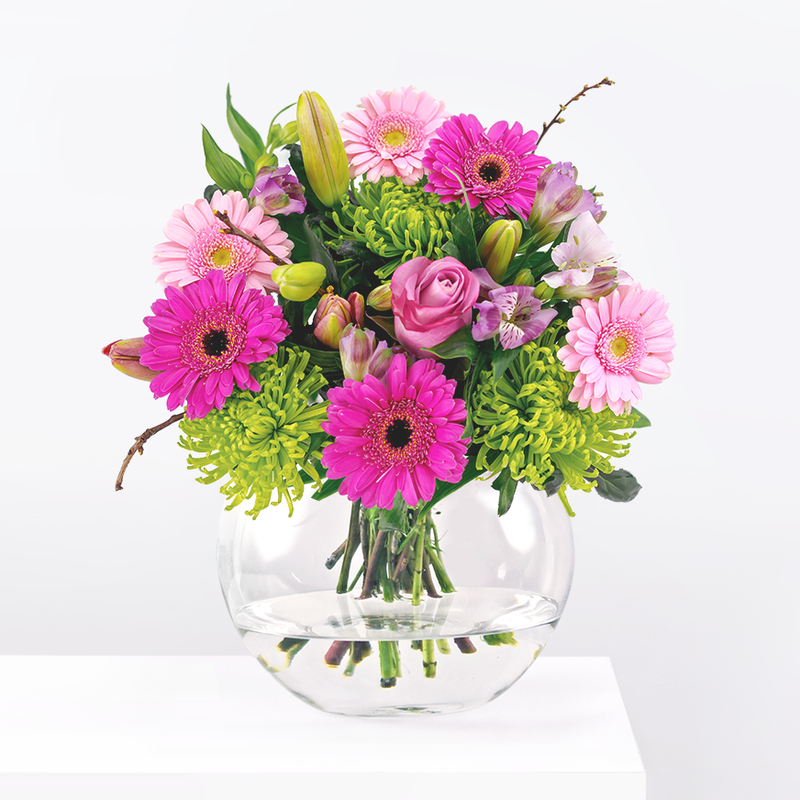 The perfect balance of bright and pastel shades come together in this bouquet. Our team has chosen the combination of Eustoma, Oriental Lilies, Germinis, and Ruscus to complete the arrangement. 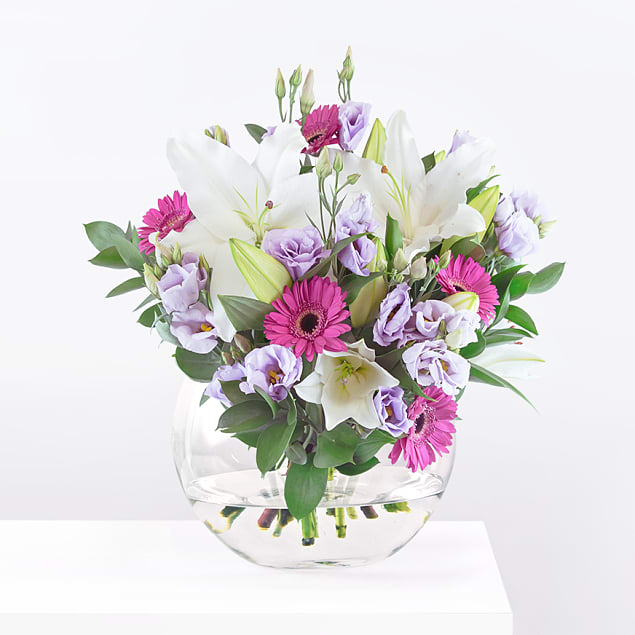 No matter the occasion, when you send this flower arrangement, you can be sure that the recipient will be absolutely delighted. Lilies with Love has been added to your basket.